I’ve had this idea for almost a year now but I had a different vision for it, which I still will try next weekend when I have a model for a different reason but if we have spare time I will try my other method. 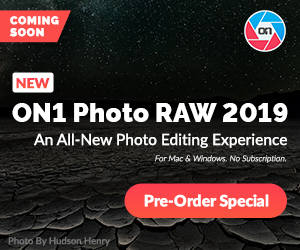 But inspired by the above I thought I would give an HDR Portrait a whirl using compositing of two images using Topaz Remask 3 to make the selection masking process as easy and precise as possible. First let’s take a look at out two images. 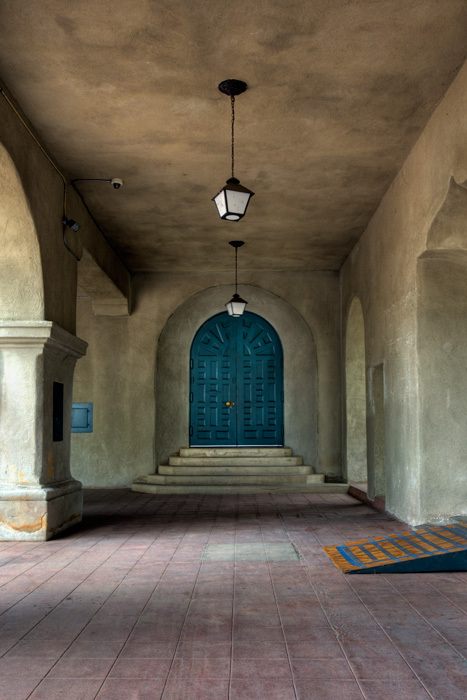 Our background: this was an image I shot in San Diego’s Balboa Park a little over a year ago. It is a 3 exposure HDR, finished in Photomatix Pro. 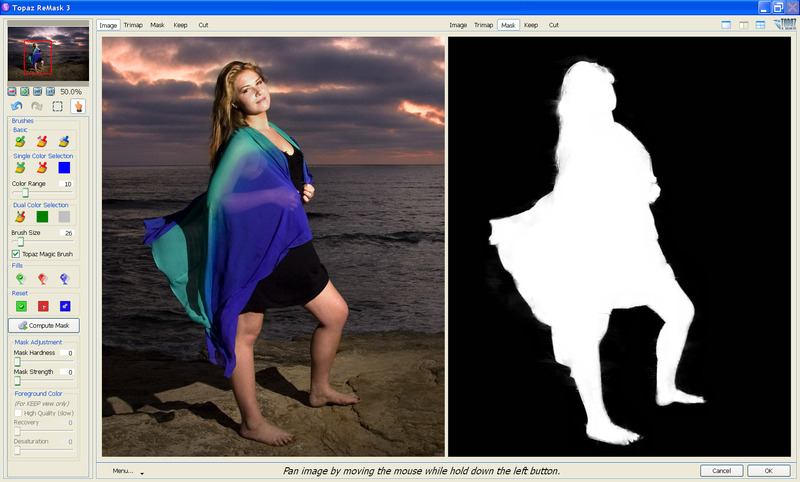 Bringing it back into Photoshop, here is the selected image of our model Noelle. 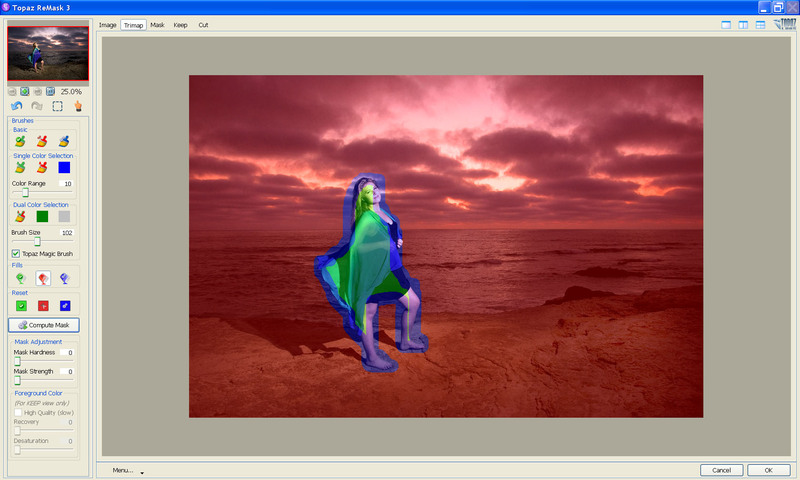 After a few adjustments it was time to drag our model onto ourBalboaParkbackground. Using the move tool, I simply dragged the selection onto our background image. At this point I needed to mirror flip her so that she was facing the right direction to fit into our scene. I did that with Edit>Transform> Flip horizontal. Then, again using the move tool, positioned her where I wanted in the frame. At this point she really wasn’t blending well into the scene so I thought she needed a little HDR look to her too. I duplicated the layer and again I returned to Topaz Adjust 5 but this time I went a little lighter handed and used one of the Vibrant Collection presets: Detail – Strong. Now she had the detail I wanted to match the background but she still didn’t blend with the tone of the image as much as I would have liked. So I used a trick I showed you a year ago when I did the shoot at the harbor. 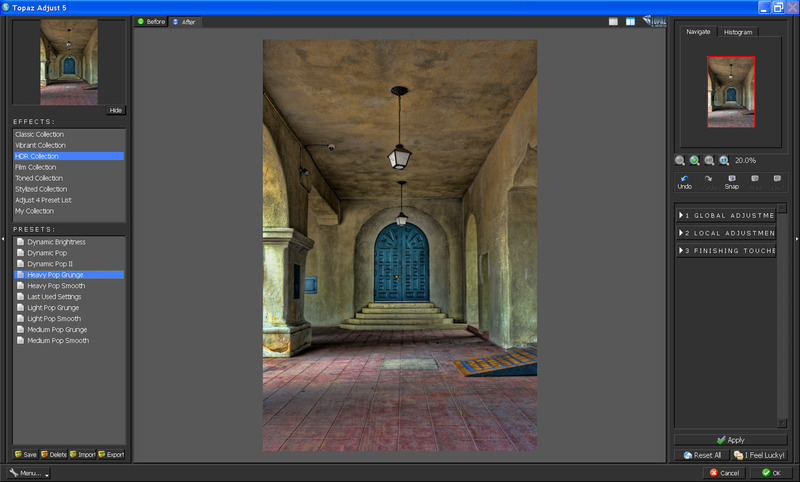 I duplicated the model layer again and this time opened Topaz BW effects and selected the Platinum preset. I then turned the color layer above back on and changed the opacity of the color level to about 65%. Now she seemed to blend in pretty well, but I still wanted her to look more natural because going too far can highlight things that are not flattering to a woman. At this point I though it best if the image was cropped but I couldn’t decide which way I should crop it to 8 x 10 proportions, so I did both. I hope you enjoyed that. It actually was a lot of fun and challenging to do. I haven’t been a fan of compositing, preferring to do all my work in camera. But I am happy with the results and of course I really can’t resist a challenge from anyone. This entry was posted in Editing, High Dynamic Range (HDR), Portraits, Software and tagged Potrraits using HDR, Topaz Adjust 5, Topaz BW Effects, Topaz Labs, Topaz Remask 3. I knew you could do it and I knew you could do it well! Peter, nice job on the remask. Is there any way of putting a shadow behind her feet.The feet look like they are suspended in air. I was thinking the same thing about the feet….they needed a shadow to keep them from floating. Great composite! Nice work, but in my opinion, it doesn’t truly look integrated yet. I personally would add subtle cast shadows for the model and lighting adjustments to the background image which is much flatly lit. The models highlights are very nice, but that’s the area that really looks to be composited to me. Try your hand at it, we always post reader images and how they did it!